(Photo: Ecumenical News / Peter Kenny)Professor Thomas Schirrmacher of the World Evangelical Alliance speaks to the media at the World Council of Churches 10th Assembly in Busan, South Korea on November 5, 2013. Evangelicals and ecumenical are all Christians and followers of Jesus. But protestors outside Busan's Bexco hall, some of whom said they were Evangelicals. do not like the World Council of Churches holding its 10th Assembly in South Korea's second largest city, vociferously demonstrating against the meeting. (Photo Ecumenical News / Peter Kenny)A man protests against the World Council of Churches Assembly on November 4, 2013. But the World Evangelical Alliance sent a representative along to the WCC meeting which is held about once every seven years who offered his organization's greetings. The chief executive of WEA, Geoff Tunnicliffe, which will holds its own global meeting in Seoul in 2014, was not present in Busan. But the ambassador for human rights and chair of the theological commission of the World Evangelical Alliance, Professor Thomas Schirrmacher, made an appearance at the WCC Assembly on Monday. "Mission belongs to the very being of the church. Therefore proclaiming the word of God and witnessing to the world is essential for every Christian. "However it is necessary to do so according to Gospel principles, with full respect and love for all human beings," Schirrmacher told participants in the main assembly hall. WEA is connected globally within local churches representing itself as a world-wide identity and voice. The WEA is networked within 129 nations and over 100 international organizations, formed as an evangelical alliance. The WEA was established in 1846, created to provide international theological reflection, in which is sought to work within the areas of Christian unity, human rights, world Evangelism, and religious freedom for all. "When the Evangelical Alliance was established in 1846 it sought to work in four primary areas of concern: Christian unity, human rights, and in particular at that time the abolition of slavery, World Evangelism, and religious freedom for all," Professor Schirrmacher said during a press conference. The first document that was signed by the Vatican including the World Council of Churches (WCC) and the World Evangelical Alliance "Christian Witness in a Multi-Religious World: Recommendations for Conduct." The document's purpose was to fulfill the four primary areas of concern: Christian unity, human rights, a positive outlook on mission and evangelism, and religious freedom. Both the WCC and WEA have decided to dedicate their time to bring unity within Christians, instead of furthering their own organizations. They do this by convening, catalyzing, connecting, and communicating an evangelical perspective on global issues in full obedience to "both the great commandment and the great commission," says the WCC website. They are "establishing and strengthening regional and national evangelical movements; establishing commissions, and releasing the resources of member-bodies to address and meet the needs of the global church." They do this by stimulating strategic partnerships to strengthen Christian witness and compassionate action in every country says the WCC. 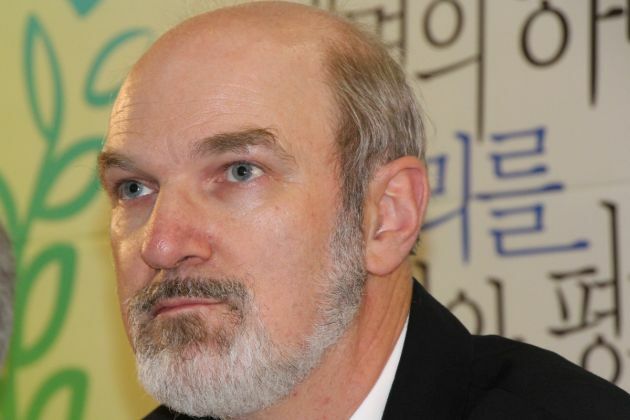 In October of 2014, in Seoul, South Korea, the World Evangelical Alliance and the Christian Council of Korea (CCK) will hold their next General Assembly.